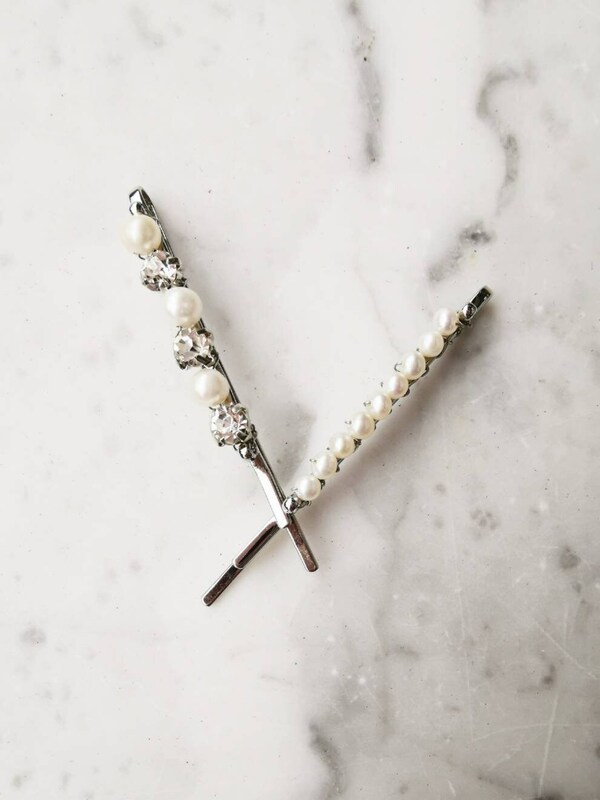 Set of 2 Bobby pins with rhinestones and fresh water pearls in silver colour. Can be worn as fashion hair accessories or bridal hair pins. Also a perfect idea for bridesmaids presents.